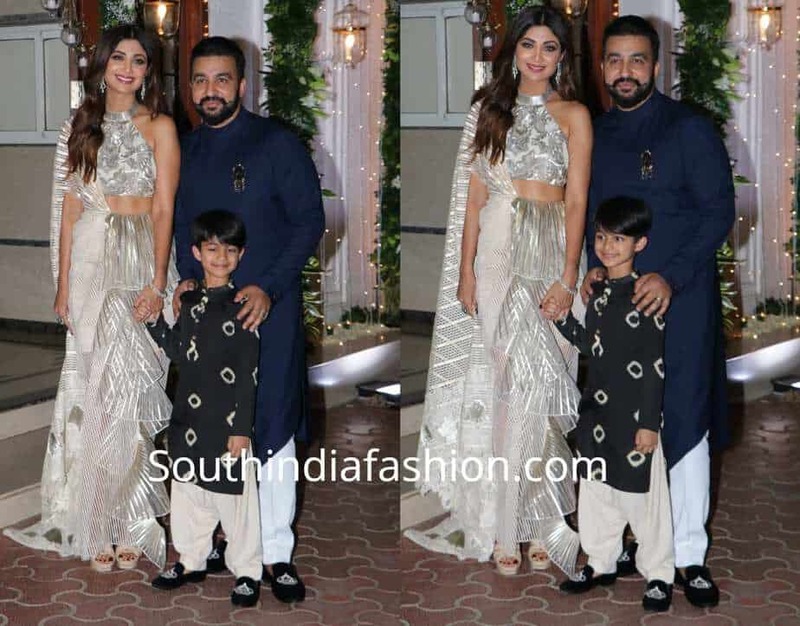 Shilpa Shetty and Raj Kundra hosted a grand pre-Diwali bash at their residence. For the event, Shilpa Shetty wore a silver Indo-western outfit by Amit Aggarwal. She finished off her look with matching heels, diamond earrings and wavy hair. Raj Kundra and Viaan were seen in simple kurta pyjamas!